I get to say Hi to this lovely hunk of plastic every day. Everyone is excited for some good new - Good News Everyone! 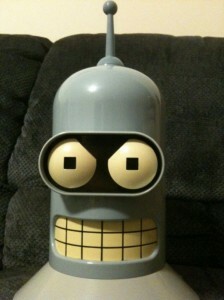 Futurama in June! 12 Episodes.